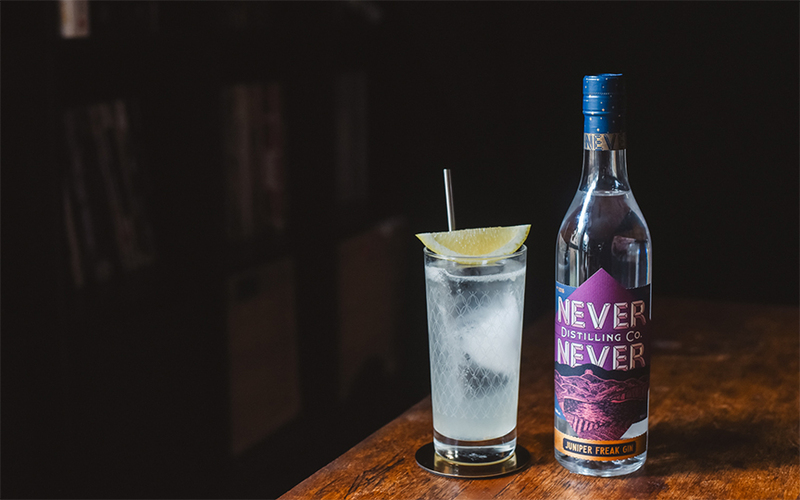 Those who have been fortunate to enjoy any of the Never Never Distilling Co. (NND) gin family, know these gins should always be stocked in your home bar. To share the story of the Juniper Freak, we first share the stories of the gins that led them to this point. 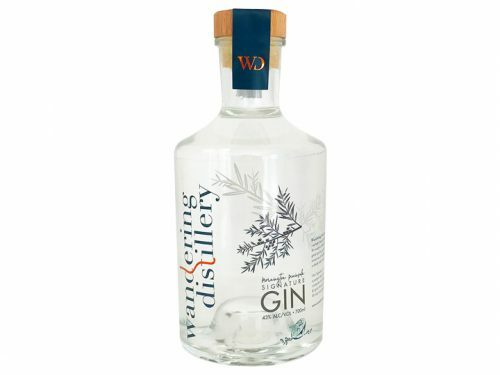 When NND released the Triple Juniper, the first of their gin trio, a year ago in July 2017 they entered the gin scene with a hit on their hands. The baby of the range, this is not. Rather it set the benchmark for where the NND range would head. A classic, juniper forward, oily, dry gin that would be at home in a G&T or a classic gin cocktail. The team wanted to make something in the style they enjoyed drinking the most. Sounds like an obvious choice? Yes, but executing that vision was a whole other prospect. After trialling 45 botanicals, the team carefully selected 9 and each has their place. Pepper berry (one of our favourite natives!) was the only native botanical to find its way into the mix and that’s no bad thing. The success of the Triple Juniper is undeniable, and the botanical profile hits the nail on the head. When your first release is such a success, where do you go from there? The answer as they considered it, wasn’t to release a range of entirely different gins, but to explore with the botanical profile they’d landed on, in a couple of over proof expressions. We’re happy to have been part of the process with the 2nd Never Never release with our Southern Strength ‘Ginius Release.’ This exclusive batch explored an elevation in the Southern Strength’s root character. 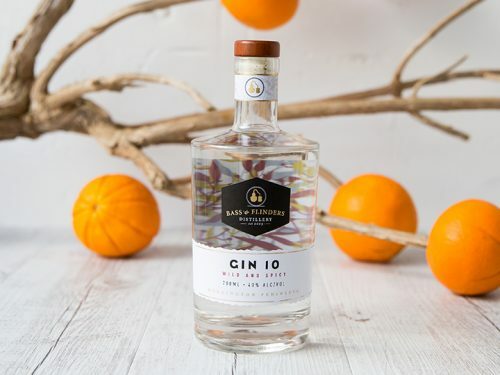 By increasing the botanical weight of Angelica Root and Orris Root, NND were able to lift the savoury character of their Southern Strength Gin while adding a richer mouthfeel. In its final iteration Southern Strength has elevated levels of lemon, angelica root and coriander seed, giving it a brighter nose and palate, while retaining some of those earthy, savoury undertones. Which brings us of course to the gin of the month, the Juniper Freak. If NND had a challenge following the Triple Juniper, how then to top both it and the Southern Strength? The answer as it turns out was more – more boldness and more juniper focus and flavour. Could it be as straight forward as adding more juniper? Yes, more juniper in the vapour infusion, more in the pot and of course that epic bump in ABV to the 58% navy strength. By keeping a singular focus on juniper, NND is able to explore a whole new concept when it comes to gin, the idea of a juniper ‘vintage’. It’s fair to say that this concept would struggle to work with the majority of gins. Juniper isn’t always a dominant botanical and when it is, the balance of accompanying botanicals would often hide the subtle changes to be found through varying crops of juniper. With the Juniper Freak, each year you’ll have the chance to explore differences from a host of factors. As distiller George explained to us, flavour changes can come from differences in moisture content, seasonal rainfall, plant growth, ripeness and the time of picking. And these can all vary from harvest to harvest. The gin itself will remain the same in terms of structure, production method and botanical balance, with the juniper itself the only key change. Interested? So are we and just like wine vintages, we’ll be laying down one of our bottles for comparison with future vintages of Juniper Freak. Stay tuned! So, let’s get down the business end of the Juniper Freak gin. If your mouth hasn’t started watering hearing about how this epic product was made, pouring some into a wide glass should. Breathe in the fragrant pine and earthy angelica. Don’t do it too quickly or deeply, this is a 58% gin, those aromas are beautiful, but still potent. Before you go down the path of mixing this up with your favourite tonic (high end, no cheap stuff please! ), do yourself the favour of sipping it neat to start. Marvel at the smooth, rich, viscous spirit NND have created. Enjoy it at all stages, as you see how the Never Never distillation method shows you all aspects of the juniper. The slightly sweet piney notes at the front, move to a rich earthy middle leading to a long spicy, peppery finish. On the garnish front, NND’s recommendations may see this bottle disappear in rapid fashion. 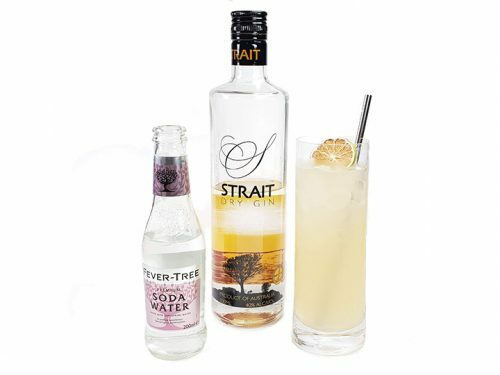 Run with ruby grapefruit and rosemary in a G&T, or for a fancy option dehydrated lime and cinnamon. If you have the discipline to test its merits in a cocktail or two, NND also recommend it for most vermouth-based cocktails. Martini anyone? If you’re looking to be slightly more adventurous, check out our recipe for a Blueberry Ginger Fizz. Developed with Daniel Millhouse, our new cocktail developer in residence and bar supervisor at Hilton Sydney’s Zeta Bar, we’re excited to keep bringing you beautifully tailored cocktails for our future gins of the month.